Are you in the market for a quality Certified Pre-Owned Vehicle? 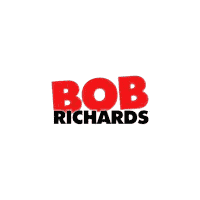 Here at Bob Richards Chrysler Dodge Jeep RAM you’ll find an impressive selection of Certified Pre-Owned Vehicles to choose from, including stylish sedans to rugged trucks and everything in between. When you choose a Chrysler, Dodge, Jeep or RAM Certified Pre-Owned Vehicle, you can rest assured you’re driving home a trustworthy vehicle thanks to our rigorous certification process where every vehicle undergoes a comprehensive 125-point inspection to qualify. When you’re ready to find your favorite vehicle, check out our great lineup of Certified Pre-Owned Vehicles here at Bob Richards Chrysler Dodge Jeep RAM. We will assist you every step of the way. Check out the amazing benefits you’ll receive with your Certified Pre-Owned Vehicle. Interested in purchasing a Certified Pre-Owned Vehicle in Graniteville, SC? Hurry in to Bob Richards Chrysler Dodge Jeep RAM, conveniently located at 1666 Jefferson Davis Highway, Graniteville, SC 29829. As always, we look forward to serving our customers from Graniteville and Aiken, SC, and throughout Augusta, GA.
*7-Years/100,000-Miles (whichever comes first) for late model vehicles. Powertrain Limited Warranty runs from the date vehicle was sold as new. A deductible may apply. See dealer for details. ^3-Months/3,000-Miles (whichever comes first). Maximum Care Limited Warranty runs from the date of sale of the vehicle or at the expiration of the 3/36 Basic Warranty. For more details and a copy of the limited warranties, see your dealer or call 1-800-677-5782. **Administered by Agero Cross Country Motor Club, Inc., Medford, MA 02155. You must call 1-800-521-2779 for prior authorization to receive these benefits. ^^With Rental Car Coverage, FCA US LLC will reimburse you up to $35 per day for a rental vehicle ($175 maximum per occurrence) any time if: A) a component fails and the component is covered by the 7-Year/100,000-Mile CPOV Powertrain Limited Warranty, B) any coverage is under the New Vehicle Basic Limited Warranty, C) the vehicle is inoperable because of the failure and D) repairs take overnight. Car Rental Allowance coverage is not provided where loaner vehicle coverage is provided by the warranty or the dealer. ***SiriusXM Satellite Radio requires a subscription, sold separately by SiriusXM after any trial period. If you decide to continue service after your trial, the subscription plan you choose will automatically renew thereafter and you will be charged according to your chosen payment method at then-current rates. Fees and taxes apply. To cancel, you must call SiriusXM at 1-866-635-2349. See SiriusXM Customer Agreement for complete terms at www.siriusxm.com. All fees and programming subject to change. Sirius, XM and all related marks and logos are trademarks of Sirius XM Radio Inc.
^^^Eligible vehicles include Chrysler, Jeep, Dodge and Ram vehicles with an active 7-Year/100,000-Mile CPOV Powertrain Limited Warranty with a maximum of 74,999 miles at the time of purchase. For Lifetime coverage beyond powertrain (Added Care Plus and Maximum Care plans), eligible vehicles must be within 48 months of the in-service date and maximum 48,000 miles. Lifetime Certified Upgrade Plans exclude Dodge Viper and all SRT vehicles, as well as vehicles used for police service, taxi, limousine, postal delivery or ambulance service. A deductible may apply. For more details and a copy of the limited warranties, see your dealer or call 1-800-677-5782. Warranty is transferable one time only, exceptions apply; see dealer for details.